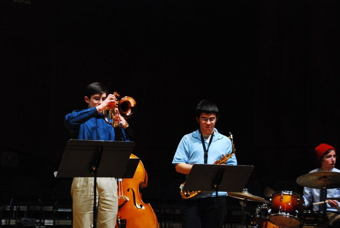 Tonight’s concert showcases outstanding student groups from the award-winning University of California Jazz Ensembles program. The first half of the show features three Advanced Combos, comprised of some of the most talented jazz musicians at the university, and coached by faculty members Frank Martin, Dann Zinn, and the director of the program, Ted Moore. The combos will perform a wide variety of jazz styles from standards to originals as well as new arrangements of rhythm and blues classics. The second half of the show features the award-winning UC Jazz Big Band, under the direction of Steve Campos. Surround yourself with the sounds of jazz played with high energy and unmatched enthusiasm by some of the brightest young musicians around.